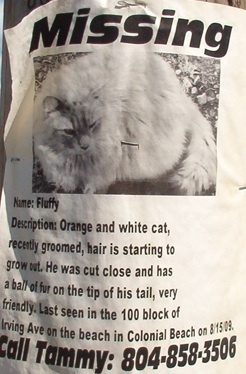 There's probably nothing more disappointing than missing pets. Owners go through the entire range of emotions, from worry, fear and sadness when they realize their dog or cat is gone, to elation and relief when their pet is safely returned. Please look over these missing pets listings in our pet-friendly town of Colonial Beach. 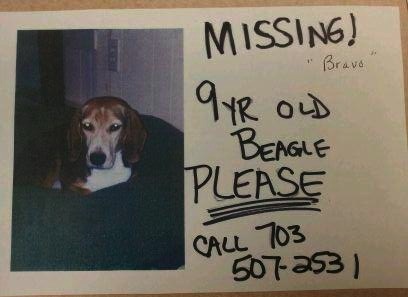 Hopefully you'll be able to help a frantic pet owner locate their beloved animal companion. Lost a Pet? Found a Lost Pet? Post it Here! Please post the missing/found pet information here. Your info will appear on a Web page exactly the way you enter it here. You can wrap a word in square brackets to make it appear bold. For example [my story] would show as my story on the Web page containing your submission. Missing! Westmoreland Shores area. 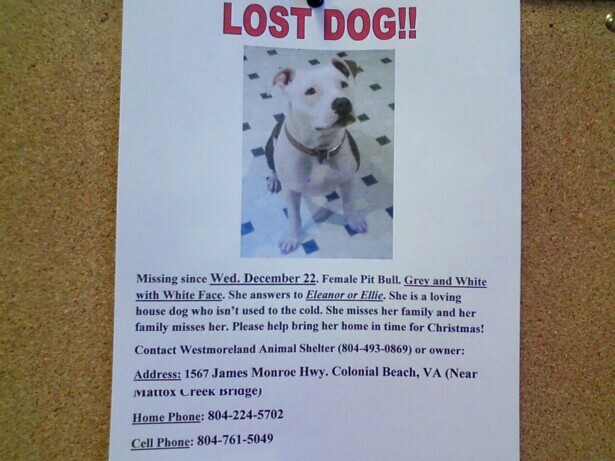 Summer has been missing since this afternoon (Wednesday 9/4). We've combed the entire neighborhood and then some. 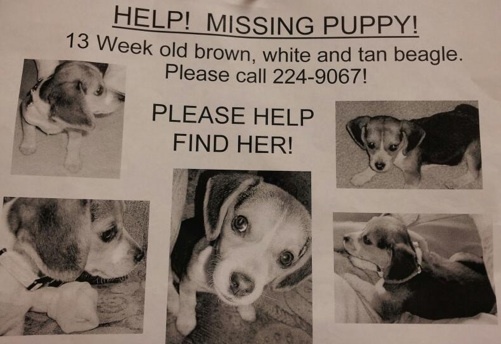 It's not like her to run off and we are really worried and would like our dog to come home. 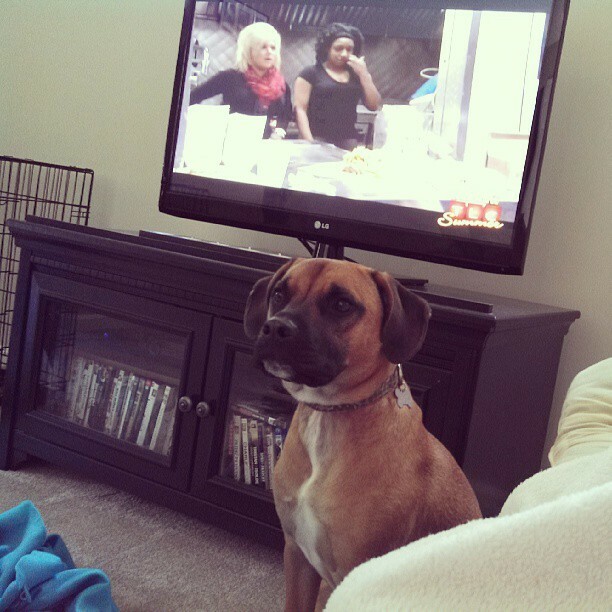 She should be wearing two collars and tags but please call me if you've see her 804-761-9018. She is very friendly. Missing dog: Little Black Chihuahua. Has some white. His name is Chipper. 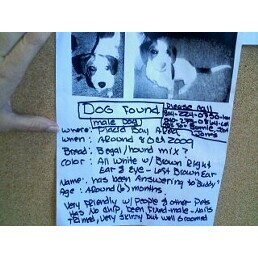 Lost around 5th Street and Dwight. Reward will be given! Please call Sam at 804-761-7035! PLEASE BRING CHIPPER HOME!!! This e-mail came from Tawnya at tawnyasdragon@aol.com: my cat Miracle, He has three legs....He has been missing for a month. We live on Bryant avenue, Neighbor last saw him right before school started. If this is your dog, contact Bonnie or Scott at 804-224-0730 or 540-273-0864. At least, I think that's what the phone numbers are on the flyer. They're a bit difficult to read. Description: Black and brown with some white. Wiry hair. Last seen: October 3rd around 4pm at the corner of Garfield & Longfellow. Did you know Colonial Beach had a K-9 police unit?